As a non-profit, our organization seeks to bring in funding to help others in the community. A very competitive field from which to draw funds, and our branding is key. 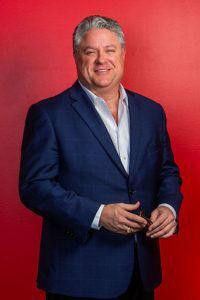 When we began our work with Hallaron Advertising, we had a name, logo, and general brand strategy that was not only outdated, but an actual hindrance to our ability to attract funds. We had attempted a rebrand on our own several times, but were quickly overwhelmed by the process each time. The day we enlisted Hallaron Advertising, all of this changed. The Hallaron staff quickly walked us through the rebranding process, and we came out with not only a new name and logo, but an entirely focused mission, vision, and clear messaging. The rebrand process forced us to rethink the organization as a whole, an overwhelming process with much room for error. But working with Hallaron Agency, we had the expertise and guidance to move through the process efficiently and to the right answer. Working with Hallaron was a game-changer. 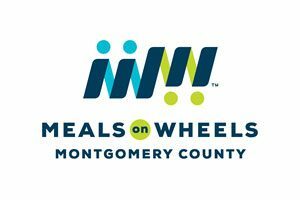 Moving from our original name, The Friendship Center, to an updated Meals on Wheels Montgomery County, we now communicate immediately what we do with a familiar name that elicits both interest and trust. Hallaron also utilized this process to redefine our identity as an organization, giving us a focus we previously did not have. We saw our donations increase immediately. Now, we draw volunteers simply with just our name. And we communicate with ease the value of our services. Hallaron Advertising has expertise in all of the areas we needed: advertising, creative, strategy, and media, including print, digital/web, radio and TV advertising. So after the rebrand, they were able to create a high level, professional website for us that we rely on as an important marketing and communications tool in our public relations efforts. They also created an emotional TV commercial that gained local attention, and print media that is not watered down and lost, but on point and attention-grabbing. Because of our relationship with Hallaron Advertising, I now have an organization that is unrecognizable from its previous iteration both internally and what we project to the public. I am now proud to showcase our logo, direct people to our website, and have total clarity on my messaging – all due to our work with the agency. Their staff is also an absolute joy to work with and they understand and care about our mission. They make a sometimes intimidating and overwhelming processes fun and exciting.